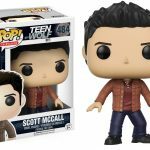 Scott McCall (as a human and as his wild werewolf self) and best bud Stiles have their very own Funko Pop! figures now. Collect whichever vinyl figure tickles your fancy this spring! 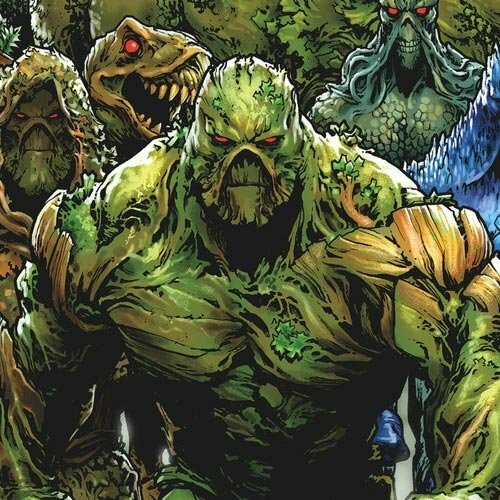 Also in today's Highlights: Wesley Snipes reveals The Recall's release date at CinemaCon 2017, a look at the teaser trailer for Deep Shock, and the Tribeca Games Festival announcement. 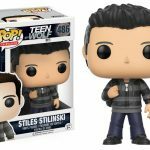 Photos & Release Details for Funko's Teen Wolf Pop! 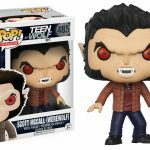 Vinyls: From Funko: “Teen werewolf Scott McCall and his best friend Stiles are coming to Pop! vinyl! Bitten the night before starting sophomore year of high school, Scott is now a True Alpha werewolf! Collect Scott in his human form, or as a werewolf! 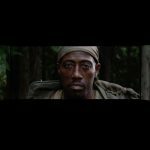 The Recall Premiere Date Announced at CinemaCon 2017: Press Release: "Announced today by star Wesley Snipes at CinemaCon in Las Vegas, Minds Eye Entertainment’s sci-fi thriller The Recall will premiere June 2nd, 2017 in Barco Escape’s panoramic, multi-screen theaters across North America. The Recall is breaking new ground for immersive cinema experiences as the first movie shot natively for Barco Escape to release in theaters. “We jumped at the chance to create one of the first films shot natively for Barco Escape, which is changing the way movies are experienced in theaters," stated Kevin DeWalt, CEO, and Producer at Minds Eye Entertainment. 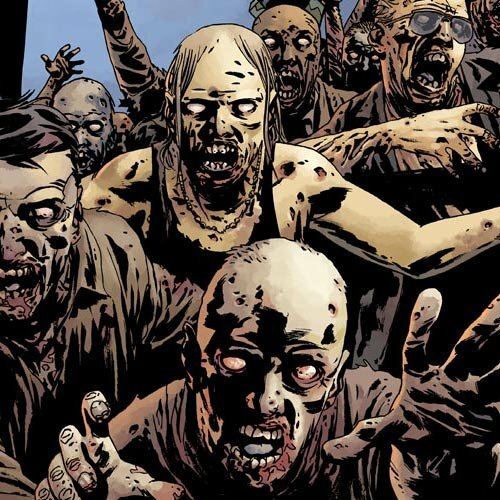 “Our goal is to bring audiences unique, immersive experiences with The Recall. We can't wait for fans to join Wesley, RJ and our talented cast in this incredible universe director Mauro Borrelli created." 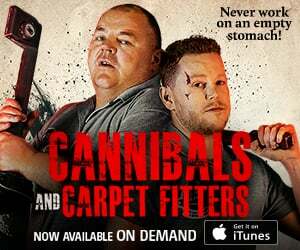 Minds Eye Entertainment produced The Recall in association with Bridgegate Pictures Corp, VMI Worldwide, and Invico Capital Corporation. North American distribution is with Freestyle Releasing and international distribution is with VMI Worldwide. 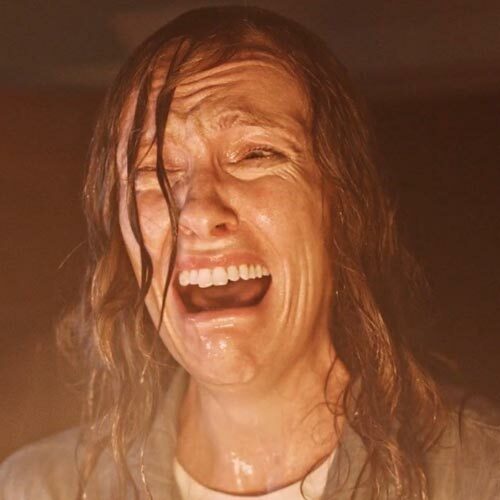 For more information about The Recall please visit: http://therecallmovie.com/. Feature film production on The Recall was made in multiple formats including Barco Escape and made possible through the Creative Saskatchewan Screen-Based Media Production Grant Program, with the participation of the Province of British Columbia Production Services Tax Credit and Canadian Film or Video Production Tax Credit." 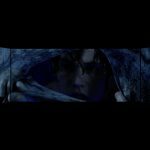 Teaser Trailer for the Short Film Deep Shock: From director Davide Melini: "The short, actually in post-production and announced for this summer (after my other short film "Lion"), attempts to pay tribute to the Italian film genre called “Giallo” (thrilling) and the title of this project is inspired by the most famous horror movies of two of the most important Italian directors: Dario Argento ("Deep Red") and Mario Bava ("Shock")." 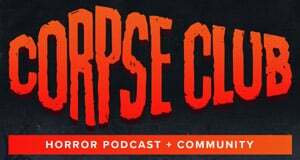 Cast: Muireann Bird, Francesc Pagès, George Bracebridge, Lorna Larkin, Erica Prior, and Luis Fernández de Eribe. 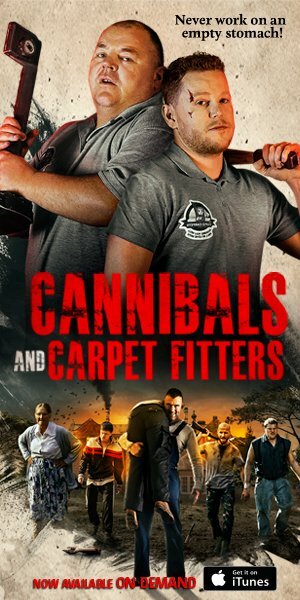 Produced by Luca Vannella ("Avengers", "Thor", "Harry Potter", "Apocalypto", "Heart of the Sea"), Alexis Continente (Murder on the Orient Express", "Transformers: The Last Knight", "Thor"), Vincenzo Mastrantonio ("Titanic", "Moulin Rouge", "The Passion of Christ", "Romeo + Juliet"), Bobby Holland ("The Dark Knight Rises", "Game of Thrones", "Sherlock Holmes: A Game of Shadows", "007 - Quantum of Solace"), Ferdinando Merolla ("Troy", "Gangs of New York", "Hannibal Rising"), and Roberto Paglialunga. Written & Directed by Davide Melini ("Donatello Awards 2011" official selection with the short film "The sweet hand of the White Rose")." Tribeca Games Festival 2017 Announced: Press Release: "New York, NY [March 29, 2017] – Tribeca Games and Kill Screen have partnered to launch the Tribeca Games Festival, an event that will bring together New York City’s passionate gaming community to examine where games have been and what comes next in the race to innovate in the world’s most popular medium. Sitting at the intersection of games, entertainment, and culture, the festival will include behind-the-scenes looks back at some of the most fascinating games of the past year, and conversations with cultural leaders and game industry insiders, including a conversation with the legendary game creator, Hideo Kojima. 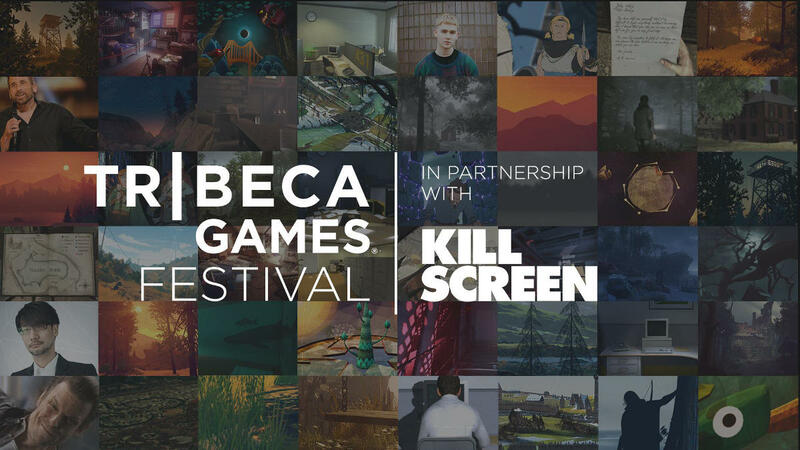 The inaugural Tribeca Games Festival will take place April 28-29 during the Tribeca Film Festival at The Tribeca Festival Hub at Spring Studios. Tickets are on sale now at www.tribecafilm.com/games. The Tribeca Film Festival, presented by AT&T, runs April 19-30. Hideo Kojima is widely celebrated as the godfather of the stealth action game genre, having created the Metal Gear franchise 30 years ago this July. He was awarded the Game Developers Choice Awards’ Lifetime Achievement Award in March 2009, inducted into the Academy of Interactive Arts and Science’s Hall of Fame in February 2016 and, most recently received The Game Awards’ Industry Icon Award this past December. Hideo Kojima leads a robust schedule of conversations to take place at the Festival, including additional keynote conversations given byQuantum Break, Alan Wake and Max Payne creator Sam Lake and BioShock director/writer Ken Levine, a celebration of the 25th anniversary of virtual reality-themed movie The Lawnmower Man with filmmaker Brett Leonard, principal filmmaker for VR at Google Jessica Brillhart and Cy Wise from Job Simulator's Owlchemy Labs, and discussions with developers of recent and upcoming games such as Overwatch, The Banner Saga, Firewatch, The Stanley Parable, Watch Dogs 2, What Remains of Edith Finch and several more. Tickets for the Tribeca Games Festival are $40 and will go on sale on today, March 29, 2017 at www.tribecafilm.com/games. Tickets for opening night are sold separately for $30. A limited amount of tickets that include an entry window for Tribeca Immersive, the Tribeca Film Festival’s event for virtual reality and interactive installations, will also be available for $70. In 2011, Tribeca was the first film festival to welcome gaming to the official program with the World Premiere ofL.A. Noire, a detective-based Xbox 360 and PlayStation 3 (PS3) game. It has continued to support artists in the gaming world with the premiere of Beyond: Two Souls, a PS3 fantasy role-playing game led by Oscar® nominee Ellen Page (2013); a panel series on innovation and storytelling in gaming with League of Legends’ designers, artists, producers, and musicians (2015); a partnership with Games for Change that illustrated how new and innovative platforms can serve the social good with participants including Morgan Spurlock, Pulitzer Prize-winning authors Nicholas Kristof & Sheryl WuDunn (A Path Appears), Chief Scientist of Oculus VR Michael Abrash, and the developers of Rovio’s blockbuster mobile game Angry Birds (2015, 2016); and more. A celebration of games, play and interactivity set to the music of British electronic producer and multi-instrumentalist Mura Masa, who inspires game makers and players globally, and an exclusive Telltale crowdplay experience. The legendary creator of the Metal Gear franchise, on what’s next for him and the influences of cinema on his work. Virtual reality directors Winslow Porter and Milica Zec and Director of USC’s Game Innovation Lab Tracy Fullerton discuss how to create real-world environmental awareness in digital worlds. Giant Sparrow's creative director Ian Dallas takes the stage to discuss his upcoming game, What Remains of Edith Finch. 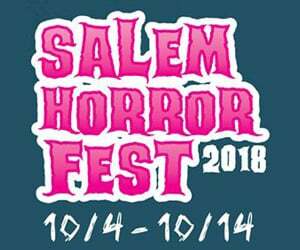 Combining a family drama with famous supernatural Japanese tales, he will discuss how creators are making mysticism relevant to the modern world. Robin Hunicke, founder of indie studio Funomena, and Baobab Studios CEO Maureen Fan show how to create delight and joy in VR. By breaking down each title piece by piece – exploring every element from art, design, and sound to storytelling – we take a look back on the some of the greatest titles from 2016. Stoic co-founder John Watson on how classic films like Disney’s Sleeping Beauty inspired the Norse world of The Banner Saga series. Watch Dogs 2 creative director Jonathan Morin tackled issues like surveillance, the Silicon Valley housing crisis, and diversity in tech in their ground-breaking title. He’ll talk about how the team built a simulation where everything is connected. Celebrating the 25th Anniversary of The Lawnmower Man, a special conversation on how Lawnmower Man influenced a generation of digital creators and to how capture images of the future with the tools of today with Brett Leonard, director of The Lawnmower Man, Jessica Brillhart, Principal Filmmaker for VR at Google, and Cy Wise from Job Simulator's Owlchemy Labs. The program and panelists are subject to change. For the most updated schedule, please visit http://www.tribecafilm.com/games."